[..YouTube..] Mysterion.﻿ The key of Life. [..YouTube..] Mysterion. The key of﻿ Life. [..YouTube..] Mysterion. The key﻿ of Life. [..YouTube..] Mysterion. The﻿ key of Life. [..YouTube..] Mysterion. The key of Life. what’s the lonely i about?hahaReallys? That’s good. Altho im half greek I hardly now any, and no koin greek! That’s truly amazing. People always say the more ancient the more difficult. [..YouTube..] what’s the lonely i about?hahaReallys? That’s good. Altho im half greek I hardly now any, and no koin greek! That’s truly amazing. ﻿ People always say the more ancient the more difficult. [..YouTube..] what’s the lonely i about?hahaReallys? That’s good. Altho im half greek I hardly now any, and no koin greek! That’s truly amazing. People always say the more ancient the﻿ more difficult. [..YouTube..] what’s the lonely i about?hahaReallys? That’s good. Altho im half greek I hardly now any, and no koin greek! That’s truly amazing. People always say the more﻿ ancient the more difficult. [..YouTube..] what’s the lonely i about?hahaReallys? That’s good. Altho im half greek I hardly now any, and no koin﻿ greek! That’s truly amazing. People always say the more ancient the more difficult. [..YouTube..] what’s the lonely i about?hahaReallys? That’s good. Altho im half greek I hardly now any, and no koin greek! That’s truly amazing. People﻿ always say the more ancient the more difficult. [..YouTube..] what’s﻿ the lonely i about?hahaReallys? That’s good. Altho im half greek I hardly now any, and no koin greek! That’s truly amazing. People always say the more ancient the more difficult. [..YouTube..] what’s the lonely i about?hahaReallys? That’s﻿ good. Altho im half greek I hardly now any, and no koin greek! That’s truly amazing. People always say the more ancient the more difficult. [..YouTube..] what’s the lonely i about?hahaReallys? That’s good. Altho im half greek I hardly now any, and no koin greek! That’s truly amazing.﻿ People always say the more ancient the more difficult. [..YouTube..] what’s the lonely﻿ i about?hahaReallys? That’s good. Altho im half greek I hardly now any, and no koin greek! That’s truly amazing. People always say the more ancient the more difficult. [..YouTube..] what’s the lonely i about?hahaReallys? That’s good. Altho im half﻿ greek I hardly now any, and no koin greek! That’s truly amazing. People always say the more ancient the more difficult. [..YouTube..] what’s the lonely i about?hahaReallys? That’s good. Altho im half greek I hardly now any, and no koin greek! That’s truly amazing. People always say﻿ the more ancient the more difficult. [..YouTube..] what’s the lonely i about?hahaReallys? That’s good. Altho im half greek I hardly now any, and no koin greek! That’s truly amazing. People always say the more ancient﻿ the more difficult. [..YouTube..] what’s the lonely i about?hahaReallys? That’s good. Altho﻿ im half greek I hardly now any, and no koin greek! That’s truly amazing. People always say the more ancient the more difficult. [..YouTube..] what’s the lonely i about?hahaReallys? That’s good. Altho im half greek I hardly now any, and no﻿ koin greek! That’s truly amazing. People always say the more ancient the more difficult. [..YouTube..] what’s the﻿ lonely i about?hahaReallys? That’s good. Altho im half greek I hardly now any, and no koin greek! That’s truly amazing. People always say the more ancient the more difficult. [..YouTube..] what’s the lonely i about?hahaReallys? That’s good. Altho im half greek I hardly now﻿ any, and no koin greek! That’s truly amazing. People always say the more ancient the more difficult. [..YouTube..] what’s the lonely i about?hahaReallys? That’s good. Altho im half greek I hardly now any,﻿ and no koin greek! That’s truly amazing. People always say the more ancient the more difficult. [..YouTube..] what’s the lonely i about?hahaReallys? That’s good. Altho im half greek I hardly now any, and no koin greek! That’s truly﻿ amazing. People always say the more ancient the more difficult. [..YouTube..] what’s the lonely i about?hahaReallys? That’s good.﻿ Altho im half greek I hardly now any, and no koin greek! That’s truly amazing. People always say the more ancient the more difficult. [..YouTube..] what’s the lonely i about?hahaReallys? That’s good. Altho im half greek I hardly now any, and﻿ no koin greek! That’s truly amazing. People always say the more ancient the more difficult. [..YouTube..] what’s the lonely i about?hahaReallys?﻿ That’s good. Altho im half greek I hardly now any, and no koin greek! That’s truly amazing. People always say the more ancient the more difficult. [..YouTube..] what’s the lonely i about?hahaReallys? That’s good. Altho im half greek﻿ I hardly now any, and no koin greek! That’s truly amazing. People always say the more ancient the more difficult. [..YouTube..] what’s the lonely i about?hahaReallys? That’s good. Altho im half greek I hardly﻿ now any, and no koin greek! That’s truly amazing. People always say the more ancient the more difficult. [..YouTube..] what’s the lonely i about?hahaReallys? That’s good. Altho im half greek I hardly now any, and no koin greek! That’s﻿ truly amazing. People always say the more ancient the more difficult. [..YouTube..] what’s the lonely i about?hahaReallys? That’s good. Altho im﻿ half greek I hardly now any, and no koin greek! That’s truly amazing. People always say the more ancient the more difficult. [..YouTube..] what’s the lonely i about?hahaReallys? That’s good. Altho im half greek I hardly now any, and no koin greek!﻿ That’s truly amazing. People always say the more ancient the more difficult. [..YouTube..] what’s the lonely i about?hahaReallys? That’s good. Altho im half greek I hardly now any, and no koin greek! That’s truly amazing. People always say the﻿ more ancient the more difficult. [..YouTube..] what’s the lonely i about?hahaReallys? That’s good. Altho im half greek I hardly now any, and no koin greek! That’s truly amazing. People always say the more ancient the more﻿ difficult. [..YouTube..] what’s the lonely i about?hahaReallys? That’s good. Altho im half greek I﻿ hardly now any, and no koin greek! That’s truly amazing. People always say the more ancient the more difficult. [..YouTube..] what’s the lonely i﻿ about?hahaReallys? That’s good. Altho im half greek I hardly now any, and no koin greek! That’s truly amazing. People always say the more ancient the more difficult. [..YouTube..] what’s the lonely i about?hahaReallys? That’s good. Altho im half greek I hardly now any, and no koin greek! That’s truly amazing. People always﻿ say the more ancient the more difficult. [..YouTube..] what’s the lonely i about?hahaReallys? That’s good. Altho im half greek I hardly now any, and no koin greek! That’s truly amazing. People always say the more ancient the more difficult. Reallys? That’s good. Altho im half greek I hardly now any, and no koin greek! That’s truly amazing. People always say the more ancient the more difficult. Don’t worry everyone must be a little in-bred!lol But that’s a coincidince stillYeah i did, I listened to the arabic ones. I did arabic for a year at 6th form college, but didn’t learn much cos all we did is talked….but our teacher virtually cheated for us in the exam (we had no invidulators) so I passed anyway! [..YouTube..] Don’t worry everyone must be a little in-bred!lol But that’s a coincidince stillYeah i did, I listened to the arabic ones. I did arabic for a year at 6th form college, but didn’t learn much cos all we did﻿ is talked….but our teacher virtually cheated for us in the exam (we had no invidulators) so I passed anyway! [..YouTube..] Don’t worry everyone must be a little in-bred!lol But that’s a coincidince stillYeah i﻿ did, I listened to the arabic ones. I did arabic for a year at 6th form college, but didn’t learn much cos all we did is talked….but our teacher virtually cheated for us in the exam (we had no invidulators) so I passed anyway! [..YouTube..] Don’t worry everyone must be a little in-bred!lol But that’s a coincidince stillYeah i did, I listened to the arabic ones. I did arabic for a year at 6th form﻿ college, but didn’t learn much cos all we did is talked….but our teacher virtually cheated for us in the exam (we had no invidulators) so I passed anyway! [..YouTube..] Don’t worry everyone must be a little in-bred!lol But that’s a coincidince stillYeah i did, I listened to the arabic ones. I did arabic for a year at 6th form college, but didn’t learn much cos all we did is talked….but our teacher virtually cheated for us﻿ in the exam (we had no invidulators) so I passed anyway! [..YouTube..] Don’t worry everyone must be a little in-bred!lol But that’s a coincidince stillYeah i did, I listened to the arabic ones. I did arabic for a﻿ year at 6th form college, but didn’t learn much cos all we did is talked….but our teacher virtually cheated for us in the exam (we had no invidulators) so I passed anyway! [..YouTube..] Don’t worry everyone must be a little in-bred!lol But that’s a coincidince stillYeah i did, I listened to the arabic ones. I did arabic for a year at 6th form college, but﻿ didn’t learn much cos all we did is talked….but our teacher virtually cheated for us in the exam (we had no invidulators) so I passed anyway! [..YouTube..] Don’t worry everyone must be a little in-bred!lol But that’s a coincidince stillYeah i did, I listened to the arabic ones. I did arabic for a year at 6th form college, but didn’t﻿ learn much cos all we did is talked….but our teacher virtually cheated for us in the exam (we had no invidulators) so I passed anyway! [..YouTube..] Don’t worry everyone must be a little in-bred!lol But that’s a coincidince stillYeah i did, I listened to the arabic﻿ ones. I did arabic for a year at 6th form college, but didn’t learn much cos all we did is talked….but our teacher virtually cheated for us in the exam (we had no invidulators) so I passed anyway! [..YouTube..] Don’t worry everyone must be a little in-bred!lol But that’s a coincidince stillYeah i did, I listened to the arabic ones.﻿ I did arabic for a year at 6th form college, but didn’t learn much cos all we did is talked….but our teacher virtually cheated for us in the exam (we had no invidulators) so I passed anyway! [..YouTube..] Don’t worry everyone must be a little in-bred!lol But that’s a coincidince stillYeah i did, I listened to the arabic ones. I﻿ did arabic for a year at 6th form college, but didn’t learn much cos all we did is talked….but our teacher virtually cheated for us in the exam (we had no invidulators) so I passed anyway! [..YouTube..] Don’t worry everyone must be a little in-bred!lol But that’s a coincidince stillYeah i did, I listened to the arabic ones. I did arabic for a year at 6th form college, but didn’t learn﻿ much cos all we did is talked….but our teacher virtually cheated for us in the exam (we had no invidulators) so I passed anyway! [..YouTube..] Don’t worry everyone must be a little in-bred!lol But that’s a coincidince stillYeah i did, I listened to the arabic ones. I did arabic for a year at 6th form college, but didn’t learn much cos all we did is talked….but our teacher virtually cheated﻿ for us in the exam (we had no invidulators) so I passed anyway! [..YouTube..] Don’t worry everyone must be a little in-bred!lol But that’s a coincidince stillYeah i did, I listened to the arabic ones. I did arabic for a year at﻿ 6th form college, but didn’t learn much cos all we did is talked….but our teacher virtually cheated for us in the exam (we had no invidulators) so I passed anyway! [..YouTube..] Don’t﻿ worry everyone must be a little in-bred!lol But that’s a coincidince stillYeah i did, I listened to the arabic ones. I did arabic for a year at 6th form college, but didn’t learn much cos all we did is talked….but our teacher virtually cheated for us in the exam (we had no invidulators) so I passed anyway! [..YouTube..] Don’t worry everyone must be a little in-bred!lol But﻿ that’s a coincidince stillYeah i did, I listened to the arabic ones. I did arabic for a year at 6th form college, but didn’t learn much cos all we did is talked….but our teacher virtually cheated for us in the exam (we had no invidulators) so I passed anyway! [..YouTube..] Don’t worry everyone must be a little in-bred!lol But that’s a coincidince stillYeah i did, I listened to the arabic ones. I did arabic﻿ for a year at 6th form college, but didn’t learn much cos all we did is talked….but our teacher virtually cheated for us in the exam (we had no invidulators) so I passed anyway! [..YouTube..] Don’t worry everyone must be a little in-bred!lol But that’s a coincidince stillYeah i did, I listened to the arabic ones. I did arabic for a year at 6th form college, but didn’t learn much cos all we did is talked….but our teacher virtually cheated for us in the﻿ exam (we had no invidulators) so I passed anyway! [..YouTube..] Don’t worry everyone must be a little in-bred!lol But that’s a coincidince stillYeah i did, I listened to the arabic ones. I did arabic for a year at 6th form college, but didn’t learn much cos all we did is talked….but﻿ our teacher virtually cheated for us in the exam (we had no invidulators) so I passed anyway! [..YouTube..] Don’t worry everyone must be a little in-bred!lol But that’s a coincidince stillYeah i did, I listened to the arabic ones. I did arabic for a year at 6th form college, but didn’t learn much cos all we did is talked….but our teacher virtually cheated for us in the exam (we had﻿ no invidulators) so I passed anyway! [..YouTube..] Don’t worry everyone must be a little in-bred!lol But that’s a coincidince stillYeah i did, I listened to the arabic ones. I did arabic for a year at 6th form college,﻿ but didn’t learn much cos all we did is talked….but our teacher virtually cheated for us in the exam (we had no invidulators) so I passed anyway! [..YouTube..] Don’t worry everyone must be a little in-bred!lol But that’s a coincidince stillYeah i did, I listened to the arabic ones. I did arabic for a year at 6th form college, but didn’t learn much cos all we did is talked….but our teacher virtually cheated for us in the exam (we﻿ had no invidulators) so I passed anyway! [..YouTube..] Don’t worry everyone must be a little in-bred!lol But that’s a coincidince stillYeah i did, I listened to the arabic ones. I did arabic for a year﻿ at 6th form college, but didn’t learn much cos all we did is talked….but our teacher virtually cheated for us in the exam (we had no invidulators) so I passed anyway! [..YouTube..] Don’t worry everyone must be a little in-bred!lol But that’s a coincidince stillYeah i did, I listened to the arabic ones. I did arabic for a year at 6th form college, but didn’t learn much cos all we did is﻿ talked….but our teacher virtually cheated for us in the exam (we had no invidulators) so I passed anyway! [..YouTube..] Don’t worry everyone must be a little in-bred!lol But that’s a coincidince stillYeah i did, I listened﻿ to the arabic ones. I did arabic for a year at 6th form college, but didn’t learn much cos all we did is talked….but our teacher virtually cheated for us in the exam (we had no invidulators) so I passed anyway! [..YouTube..] Don’t worry everyone must﻿ be a little in-bred!lol But that’s a coincidince stillYeah i did, I listened to the arabic ones. I did arabic for a year at 6th form college, but didn’t learn much cos all we did is talked….but our teacher virtually cheated for us in the exam (we had no invidulators) so I passed anyway! [..YouTube..] Don’t worry everyone must be a little in-bred!lol But that’s a coincidince stillYeah i did, I listened to the arabic ones. I did arabic for a year at 6th form college, but didn’t learn much cos all we did is talked….but our teacher virtually cheated for us in the exam (we had no invidulators) so﻿ I passed anyway! [..YouTube..] Don’t worry everyone must be a little in-bred!lol But that’s a coincidince stillYeah i did, I listened to the arabic ones. I did arabic for a year at 6th form college, but didn’t learn much cos all﻿ we did is talked….but our teacher virtually cheated for us in the exam (we had no invidulators) so I passed anyway! [..YouTube..] Don’t worry﻿ everyone must be a little in-bred!lol But that’s a coincidince stillYeah i did, I listened to the arabic ones. I did arabic for a year at 6th form college, but didn’t learn much cos all we did is talked….but our teacher virtually cheated for us in the exam (we had no invidulators) so I passed anyway! [..YouTube..] Don’t worry everyone must be a little in-bred!lol But that’s a coincidince stillYeah i did, I listened to the arabic ones. I did arabic for a year at 6th form college, but didn’t learn much cos﻿ all we did is talked….but our teacher virtually cheated for us in the exam (we had no invidulators) so I passed anyway! [..YouTube..] Don’t worry everyone must be a little in-bred!lol But that’s a coincidince stillYeah i did, I listened to the arabic ones. I did arabic for a year at 6th form college, but didn’t learn much cos all we did is talked….but our teacher﻿ virtually cheated for us in the exam (we had no invidulators) so I passed anyway! [..YouTube..] Don’t worry everyone must be a little in-bred!lol But that’s a coincidince﻿ stillYeah i did, I listened to the arabic ones. I did arabic for a year at 6th form college, but didn’t learn much cos all we did is talked….but our teacher virtually cheated for us in the exam (we had no invidulators) so I passed anyway! [..YouTube..] Don’t worry everyone must be a little in-bred!lol But that’s a coincidince stillYeah i did, I listened to the arabic ones. I did arabic for a year at 6th form college, but didn’t learn much cos all we did is talked….but our teacher virtually cheated for us in the exam (we had no invidulators) so I passed﻿ anyway! [..YouTube..] Don’t worry everyone must be a little in-bred!lol But that’s a coincidince stillYeah i did, I listened to the arabic ones. I did arabic for a year at 6th form college, but didn’t learn much﻿ cos all we did is talked….but our teacher virtually cheated for us in the exam (we had no invidulators) so I passed anyway! [..YouTube..] Don’t worry everyone must be a little in-bred!lol But that’s a coincidince stillYeah i did, I listened to the﻿ arabic ones. I did arabic for a year at 6th form college, but didn’t learn much cos all we did is talked….but our teacher virtually cheated for us in the exam (we had no invidulators) so I passed anyway! [..YouTube..] Don’t worry everyone must be﻿ a little in-bred!lol But that’s a coincidince stillYeah i did, I listened to the arabic ones. I did arabic for a year at 6th form college, but didn’t learn much cos all we did is talked….but our teacher virtually cheated for us in the exam (we had no invidulators) so I passed anyway! [..YouTube..] Don’t worry everyone must be a little in-bred!lol But that’s a coincidince stillYeah i did, I listened to the arabic ones. I did arabic for a year at 6th form college, but didn’t learn much cos all we did is talked….but our teacher virtually cheated for us in the exam (we had no﻿ invidulators) so I passed anyway! [..YouTube..] Don’t worry everyone must be a little in-bred!lol But that’s a coincidince stillYeah i did, I listened to the arabic ones. I did arabic for a year at 6th form college, but didn’t learn much cos all we did is talked….but our teacher virtually﻿ cheated for us in the exam (we had no invidulators) so I passed anyway! [..YouTube..] Don’t worry everyone must be a little in-bred!lol But that’s a coincidince stillYeah i did, I﻿ listened to the arabic ones. I did arabic for a year at 6th form college, but didn’t learn much cos all we did is talked….but our teacher virtually cheated for us in the exam (we had no invidulators) so I passed anyway! [..YouTube..] Don’t worry everyone must be a little in-bred!lol But that’s a coincidince stillYeah i did, I listened to the arabic ones. I did arabic for a year at 6th form college, but didn’t learn much cos all we did is talked….but our teacher virtually cheated for﻿ us in the exam (we had no invidulators) so I passed anyway! [..YouTube..] Don’t worry everyone﻿ must be a little in-bred!lol But that’s a coincidince stillYeah i did, I listened to the arabic ones. I did arabic for a year at 6th form college, but didn’t learn much cos all we did is talked….but our teacher virtually cheated for us in the exam (we had no invidulators) so I passed anyway! [..YouTube..] Don’t worry everyone must be a little in-bred!lol But that’s a coincidince stillYeah i did, I listened to the arabic ones. I did arabic for a year at 6th form college, but didn’t learn much cos all we did is talked….but our teacher virtually cheated for us in the exam﻿ (we had no invidulators) so I passed anyway! [..YouTube..] Don’t worry everyone must be a little in-bred!lol﻿ But that’s a coincidince stillYeah i did, I listened to the arabic ones. I did arabic for a year at 6th form college, but didn’t learn much cos all we did is talked….but our teacher virtually cheated for us in the exam (we had no invidulators) so I passed anyway! [..YouTube..] Don’t worry everyone must be a little in-bred!lol But that’s a coincidince stillYeah i did, I listened to the arabic ones. I did arabic for a year at 6th form college, but didn’t learn much cos all we did is talked….but our teacher virtually cheated for us in the exam (we had no invidulators) so I﻿ passed anyway! [..YouTube..] Don’t worry everyone must be a little in-bred!lol But that’s a coincidince stillYeah i did, I listened to the arabic ones. I did arabic for a year at 6th form college, but didn’t learn much cos all we did is talked….but our teacher virtually cheated for us in the exam (we had no invidulators)﻿ so I passed anyway! [..YouTube..] Don’t worry everyone must be a little in-bred!lol But that’s a coincidince stillYeah i did, I listened to the arabic ones. I did﻿ arabic for a year at 6th form college, but didn’t learn much cos all we did is talked….but our teacher virtually cheated for us in the exam (we had no invidulators) so I passed anyway! [..YouTube..] Don’t worry everyone must be a little in-bred!lol But that’s a coincidince stillYeah i did,﻿ I listened to the arabic ones. I did arabic for a year at 6th form college, but didn’t learn much cos all we did is talked….but our teacher virtually cheated for us in the exam (we had no invidulators) so I passed anyway! [..YouTube..] Don’t worry everyone must be a little in-bred!lol But that’s a coincidince stillYeah﻿ i did, I listened to the arabic ones. I did arabic for a year at 6th form college, but didn’t learn much cos all we did is talked….but our teacher virtually cheated for us in the exam (we had no invidulators) so I passed anyway! [..YouTube..] Don’t worry everyone must be a﻿ little in-bred!lol But that’s a coincidince stillYeah i did, I listened to the arabic ones. I did arabic for a year at 6th form college, but didn’t learn much cos all we did is talked….but our teacher virtually cheated for us in the exam (we had no invidulators) so I passed anyway! [..YouTube..] Don’t worry everyone must be a little in-bred!lol But that’s a coincidince stillYeah i did, I listened to﻿ the arabic ones. I did arabic for a year at 6th form college, but didn’t learn much cos all we did is talked….but our teacher virtually cheated for us in the exam (we had no invidulators) so I passed anyway! [..YouTube..] Don’t worry everyone must be a little in-bred!lol But that’s a coincidince stillYeah i did, I listened to the arabic ones. I did arabic for a year at 6th﻿ form college, but didn’t learn much cos all we did is talked….but our teacher virtually cheated for us in the exam (we had no invidulators) so I passed anyway! [..YouTube..] Don’t worry everyone must be a little in-bred!lol But that’s a coincidince stillYeah i did, I listened to the arabic ones. I did arabic for a year at 6th form college, but didn’t learn much cos all we did is talked….but our﻿ teacher virtually cheated for us in the exam (we had no invidulators) so I passed anyway! [..YouTube..] Don’t worry everyone must be a little in-bred!lol But that’s a﻿ coincidince stillYeah i did, I listened to the arabic ones. I did arabic for a year at 6th form college, but didn’t learn much cos all we did is talked….but our teacher virtually cheated for us in the exam (we had no invidulators) so I passed anyway! [..YouTube..] Don’t worry everyone must be a little in-bred!lol But that’s a coincidince stillYeah i did, I listened to the arabic ones. I did arabic for a year at 6th form college, but didn’t learn much cos all we did is talked….but our teacher virtually cheated for us in﻿ the exam (we had no invidulators) so I passed anyway! [..YouTube..] Don’t worry everyone must be a little in-bred!lol But that’s a coincidince stillYeah i did, I listened to the arabic ones. I did arabic for a year at 6th form college, but didn’t learn much cos all we﻿ did is talked….but our teacher virtually cheated for us in the exam (we had no invidulators) so I passed anyway! [..YouTube..] Don’t worry everyone must be a little﻿ in-bred!lol But that’s a coincidince stillYeah i did, I listened to the arabic ones. I did arabic for a year at 6th form college, but didn’t learn much cos all we did is talked….but our teacher virtually cheated for us in the exam (we had no invidulators) so I passed anyway! [..YouTube..] Don’t worry everyone must be a little in-bred!lol But that’s﻿ a coincidince stillYeah i did, I listened to the arabic ones. I did arabic for a year at 6th form college, but didn’t learn much cos all we did is talked….but our teacher virtually cheated for us in the exam (we had no invidulators) so I passed anyway! [..YouTube..] Don’t worry everyone must be a little in-bred!lol But that’s a coincidince stillYeah i did, I listened to the arabic ones. I did arabic for﻿ a year at 6th form college, but didn’t learn much cos all we did is talked….but our teacher virtually cheated for us in the exam (we had no invidulators) so I passed anyway! [..YouTube..] Don’t worry everyone must be a little in-bred!lol But that’s a coincidince stillYeah i did, I listened to the arabic ones. I did arabic for a year at 6th form college, but didn’t learn much cos all we did is talked….but our teacher virtually cheated for us in the exam (we had no invidulators) so I passed anyway! Yeah i did, I listened to the arabic ones. I did arabic for a year at 6th form college, but didn’t learn much cos all we did is talked….but our teacher virtually cheated for us in the exam (we had no invidulators) so I passed anyway! 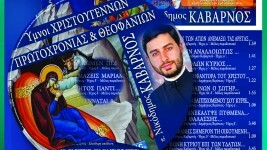 no i am not maronite i am antiochian orthodox. lol about the spelling.ummm about sarbel i think i have like a far far far relation with him. loll. i think my great grandma on my mums side was related to one of his relos. lolllbut dw cos all lebs are related somehow.english wow that is cool. btw did u like the chants in my favourites? [..YouTube..] no i am not maronite i am antiochian orthodox. lol about the spelling.ummm about sarbel i think i have like a far far far relation with him. loll. i think my great grandma on my mums side was related to﻿ one of his relos. lolllbut dw cos all lebs are related somehow.english wow that is cool. btw did u like the chants in my favourites? [..YouTube..] no i am not maronite i am antiochian orthodox. lol about the spelling.ummm about sarbel i think i have like a far far far relation with him. loll. i think my great grandma on my mums side was related to one of his relos. lolllbut dw cos all lebs are related somehow.english wow that is cool. btw did u like the﻿ chants in my favourites? [..YouTube..] no i am not maronite i am antiochian orthodox. lol about the spelling.ummm about sarbel i think i have like a far far far relation with him. loll. i think my great grandma on my mums side﻿ was related to one of his relos. lolllbut dw cos all lebs are related somehow.english wow that is cool. btw did u like the chants in my favourites? [..YouTube..] no i am not maronite i am antiochian orthodox. lol about the spelling.ummm about sarbel i think i have like a far far far relation with him. loll. i think my great grandma on my mums side was related to one of his relos. lolllbut dw cos all lebs are related somehow.english wow﻿ that is cool. btw did u like the chants in my favourites? [..YouTube..] no i am not maronite i am antiochian orthodox.﻿ lol about the spelling.ummm about sarbel i think i have like a far far far relation with him. loll. i think my great grandma on my mums side was related to one of his relos. lolllbut dw cos all lebs are related somehow.english wow that is cool. btw did u like the chants in my favourites? [..YouTube..] no i am not maronite i am antiochian orthodox. lol about the spelling.ummm about sarbel i think i have like a far far far relation with him. loll. i think my great grandma on my mums side was related﻿ to one of his relos. lolllbut dw cos all lebs are related somehow.english wow that is cool. btw did u like the chants in my favourites? [..YouTube..] no i am not maronite i am antiochian orthodox. lol about the spelling.ummm about sarbel i think i have like a far far far relation with him. loll. i think my great grandma on my mums side was related to one of his relos. lolllbut dw cos all lebs﻿ are related somehow.english wow that is cool. btw did u like the chants in my favourites? [..YouTube..] no i am not maronite i am antiochian orthodox. lol about the spelling.ummm about sarbel i think i have like a far far far relation with him. loll. i think my great grandma on﻿ my mums side was related to one of his relos. lolllbut dw cos all lebs are related somehow.english wow that is cool. btw did u like the chants in my favourites? [..YouTube..] no i am not maronite i am antiochian orthodox. lol about the spelling.ummm about sarbel i think i have like a﻿ far far far relation with him. loll. i think my great grandma on my mums side was related to one of his relos. lolllbut dw cos all lebs are related somehow.english wow that is cool. btw did u like the chants in my favourites? [..YouTube..] no i﻿ am not maronite i am antiochian orthodox. lol about the spelling.ummm about sarbel i think i have like a far far far relation with him. loll. i think my great grandma on my mums side was related to one of his relos. lolllbut dw cos all lebs are related somehow.english wow that is cool. btw did u like the chants in my favourites? [..YouTube..] no i am not maronite i am antiochian orthodox. lol about the spelling.ummm about sarbel i think i have like a far far far﻿ relation with him. loll. i think my great grandma on my mums side was related to one of his relos. lolllbut dw cos all lebs are related somehow.english wow that is cool. btw did u like the chants in my favourites? [..YouTube..] no i am not maronite i am antiochian orthodox. lol about the spelling.ummm about sarbel i think i have like a far﻿ far far relation with him. loll. i think my great grandma on my mums side was related to one of his relos. lolllbut dw cos all lebs are related somehow.english wow that is cool. btw did u like the chants in my favourites? [..YouTube..] no i am not maronite i am antiochian orthodox. lol about the spelling.ummm about sarbel i think i have like a far far far relation with him. loll. i think my great grandma on my mums side was related to one of his relos. lolllbut dw cos all lebs are related somehow.english wow that is cool. btw did﻿ u like the chants in my favourites? [..YouTube..] no i am not maronite i am antiochian orthodox. lol about the spelling.ummm about sarbel i think i have like a far far far relation with him. loll. i think my great grandma on my mums side was related to one of his relos. lolllbut dw cos all lebs are﻿ related somehow.english wow that is cool. btw did u like the chants in my favourites? [..YouTube..] no i am not maronite i am antiochian orthodox. lol about the spelling.ummm about sarbel i think i have like a far far far relation﻿ with him. loll. i think my great grandma on my mums side was related to one of his relos. lolllbut dw cos all lebs are related somehow.english wow that is cool. btw did u like the chants in my favourites? [..YouTube..] no i am not maronite i am antiochian orthodox. lol﻿ about the spelling.ummm about sarbel i think i have like a far far far relation with him. loll. i think my great grandma on my mums side was related to one of his relos. lolllbut dw cos all lebs are related somehow.english wow that is cool. btw did u like the chants in my favourites? [..YouTube..] no i am not maronite i am antiochian orthodox. lol about the spelling.ummm about sarbel i think i have like a far far far relation with him. loll. i think my great grandma on my mums side was related to one of his relos. lolllbut dw cos all lebs are related somehow.english wow that is cool. btw did u like the chants in﻿ my favourites? [..YouTube..] no i am not maronite i am antiochian orthodox. lol about the spelling.ummm about sarbel i think i have like a far far﻿ far relation with him. loll. i think my great grandma on my mums side was related to one of his relos. lolllbut dw cos all lebs are related somehow.english wow that is cool. btw did u like the chants in my favourites? [..YouTube..] no i am﻿ not maronite i am antiochian orthodox. lol about the spelling.ummm about sarbel i think i have like a far far far relation with him. loll. i think my great grandma on my mums side was related to one of his relos. lolllbut dw cos all lebs are related somehow.english wow that is cool. btw did u like the chants in my favourites? [..YouTube..] no i am not maronite i am antiochian orthodox. lol about the spelling.ummm about sarbel i think i have like a far far far relation with him. loll. i think my great grandma on my mums side was related to one of his relos. lolllbut dw cos all lebs are related somehow.english wow that is cool. btw did u like the chants﻿ in my favourites? [..YouTube..] no i am not maronite i am antiochian orthodox. lol about the spelling.ummm about sarbel i think i have like a far far far relation with him. loll. i think my great grandma on my mums side was related to one of his relos. lolllbut dw cos﻿ all lebs are related somehow.english wow that is cool. btw did u like the chants in my favourites? [..YouTube..] no i am not maronite﻿ i am antiochian orthodox. lol about the spelling.ummm about sarbel i think i have like a far far far relation with him. loll. i think my great grandma on my mums side was related to one of his relos. lolllbut dw cos all lebs are related somehow.english wow that is cool. btw did u like the chants in my favourites? [..YouTube..] no i am not maronite i am antiochian orthodox. lol about the spelling.ummm about sarbel i think i have like a far far far relation with him.﻿ loll. i think my great grandma on my mums side was related to one of his relos. lolllbut dw cos all lebs are related somehow.english wow that is cool. btw did u like the chants in my favourites? [..YouTube..] no i am not maronite i am antiochian orthodox. lol about the spelling.ummm about sarbel i think i have like a far far far relation with him. loll. i think my great grandma on my mums side was﻿ related to one of his relos. lolllbut dw cos all lebs are related somehow.english wow that is cool. btw did u like the chants in my favourites? [..YouTube..] no i am not maronite i am antiochian orthodox. lol about the spelling.ummm about sarbel i think i have like a far far far relation with him. loll. i﻿ think my great grandma on my mums side was related to one of his relos. lolllbut dw cos all lebs are related somehow.english wow that is cool. btw did u like the chants in my favourites? [..YouTube..] no i am not maronite i am antiochian orthodox. lol about the spelling.ummm﻿ about sarbel i think i have like a far far far relation with him. loll. i think my great grandma on my mums side was related to one of his relos. lolllbut dw cos all lebs are related somehow.english wow that is cool. btw did u like the chants in my favourites? [..YouTube..] no i am not maronite i am antiochian orthodox. lol about the spelling.ummm about sarbel i think i have like a far far far relation with him. loll. i think my great grandma on my mums side was related to one of his relos. lolllbut dw cos all lebs are related somehow.english wow that is cool. btw did u﻿ like the chants in my favourites? [..YouTube..] no i am not maronite i am antiochian orthodox. lol about the spelling.ummm about﻿ sarbel i think i have like a far far far relation with him. loll. i think my great grandma on my mums side was related to one of his relos. lolllbut dw cos all lebs are related somehow.english wow that is cool. btw did u like the chants in my favourites? [..YouTube..] no i am not maronite i am antiochian orthodox. lol about the spelling.ummm about sarbel i think i have like a far far far relation with him. loll. i think my great grandma on my mums side was related to one of his﻿ relos. lolllbut dw cos all lebs are related somehow.english wow that is cool. btw did u like the chants in my favourites? [..YouTube..] no i am not maronite i am antiochian orthodox. lol about the spelling.ummm about sarbel i think i have﻿ like a far far far relation with him. loll. i think my great grandma on my mums side was related to one of his relos. lolllbut dw cos all lebs are related somehow.english wow that is cool. btw did u like the chants in my favourites? [..YouTube..] no i am not maronite i am antiochian orthodox. lol about the spelling.ummm about sarbel i think i have like a far far far relation with him. loll. i think my great grandma on my mums side was related to one of his relos. lolllbut﻿ dw cos all lebs are related somehow.english wow that is cool. btw did u like the chants in my favourites? [..YouTube..] no i am not maronite i am antiochian orthodox. lol about the spelling.ummm about sarbel i think i﻿ have like a far far far relation with him. loll. i think my great grandma on my mums side was related to one of his relos. lolllbut dw cos all lebs are related somehow.english wow that is cool. btw did u like the chants in my favourites? [..YouTube..] no i am not maronite i am antiochian orthodox. lol about the spelling.ummm about sarbel i think i have like a far far far relation with him. loll. i think my great grandma on my mums side was related to one of his relos. lolllbut dw cos all lebs are related﻿ somehow.english wow that is cool. btw did u like the chants in my favourites? [..YouTube..] no i am not maronite i am antiochian orthodox. lol about the spelling.ummm about sarbel i think i have like a far far far relation with him. loll. i think my great grandma on my mums side was related to one of his relos. lolllbut dw﻿ cos all lebs are related somehow.english wow that is cool. btw did u like the chants in my favourites? [..YouTube..] no i am not maronite i am antiochian orthodox. lol about the spelling.ummm about sarbel i think﻿ i have like a far far far relation with him. loll. i think my great grandma on my mums side was related to one of his relos. lolllbut dw cos all lebs are related somehow.english wow that is cool. btw did u like the chants in my favourites? [..YouTube..] no i am not maronite i am antiochian orthodox. lol about the spelling.ummm about sarbel i think i have like a far far far relation with him. loll. i think my great grandma on my mums side was related to one of his relos.﻿ lolllbut dw cos all lebs are related somehow.english wow that is cool. btw did u like the chants in my favourites? [..YouTube..] no i am not maronite i am antiochian orthodox. lol about﻿ the spelling.ummm about sarbel i think i have like a far far far relation with him. loll. i think my great grandma on my mums side was related to one of his relos. lolllbut dw cos all lebs are related somehow.english wow that is cool. btw did u like the chants in my favourites? [..YouTube..] no﻿ i am not maronite i am antiochian orthodox. lol about the spelling.ummm about sarbel i think i have like a far far far relation with him. loll. i think my great grandma on my mums side was related to one of his relos. lolllbut dw cos all lebs are related somehow.english wow that is cool. btw did u like the chants in my favourites? [..YouTube..] no i am not maronite i am antiochian orthodox. lol about the spelling.ummm about sarbel i think i have like a far far far relation with him. loll. i think my great grandma on my mums﻿ side was related to one of his relos. lolllbut dw cos all lebs are related somehow.english wow that is cool. btw did u like the chants in my favourites? [..YouTube..] no i am not maronite i am﻿ antiochian orthodox. lol about the spelling.ummm about sarbel i think i have like a far far far relation with him. loll. i think my great grandma on my mums side was related to one of his relos. lolllbut dw cos all lebs are related somehow.english wow that is cool. btw did u like the chants in my favourites? [..YouTube..] no i am not maronite i am antiochian orthodox. lol about the spelling.ummm about sarbel i think i have like a far far far relation with him. loll.﻿ i think my great grandma on my mums side was related to one of his relos. lolllbut dw cos all lebs are related somehow.english wow that is cool. btw did u like the chants in my favourites? [..YouTube..] no i am not maronite i am antiochian orthodox. lol about the spelling.ummm about sarbel i think i have like a far far far relation with him. loll. i think my great grandma on my mums side was related to one of his relos. lolllbut dw cos all lebs are related somehow.english﻿ wow that is cool. btw did u like the chants in my favourites? [..YouTube..] no i am not maronite i am antiochian orthodox. lol about the spelling.ummm about sarbel i think i have like a far far far relation with him. loll. i think my great grandma on my mums side was related to one of his relos. lolllbut dw cos all lebs are related somehow.english wow that is﻿ cool. btw did u like the chants in my favourites? [..YouTube..] no i am not maronite i am antiochian orthodox. lol about the spelling.ummm about sarbel﻿ i think i have like a far far far relation with him. loll. i think my great grandma on my mums side was related to one of his relos. lolllbut dw cos all lebs are related somehow.english wow that is cool. btw did u like the chants in my favourites? [..YouTube..] no i am not maronite i am antiochian orthodox. lol about the﻿ spelling.ummm about sarbel i think i have like a far far far relation with him. loll. i think my great grandma on my mums side was related to one of his relos. lolllbut dw cos all lebs are related somehow.english wow that is cool. btw did u like the chants in my favourites? [..YouTube..] no i am not maronite i am antiochian orthodox. lol about the spelling.ummm about sarbel i think i have like a far far far relation with him. loll. i think my great﻿ grandma on my mums side was related to one of his relos. lolllbut dw cos all lebs are related somehow.english wow that is cool. btw did u like the chants in my favourites? [..YouTube..] no i am not maronite i am antiochian orthodox. lol about the spelling.ummm about sarbel i think i have like a far far far relation with him. loll. i think my great grandma on my mums side was related to one of his relos. lolllbut dw cos all lebs are related somehow.english wow that is cool.﻿ btw did u like the chants in my favourites? [..YouTube..] no i am not﻿ maronite i am antiochian orthodox. lol about the spelling.ummm about sarbel i think i have like a far far far relation with him. loll. i think my great grandma on my mums side was related to one of his relos. lolllbut dw cos all lebs are related somehow.english wow that is cool. btw did u like the chants in my favourites? [..YouTube..] no i am not maronite i﻿ am antiochian orthodox. lol about the spelling.ummm about sarbel i think i have like a far far far relation with him. loll. i think my great grandma on my mums side was related to one of his relos. lolllbut dw cos all lebs are related somehow.english wow that is cool. btw did u like the chants in my favourites? [..YouTube..] no i am not maronite i am antiochian orthodox. lol about the spelling.ummm about sarbel i think i have like a far far far relation with him. loll. i think my great grandma on my﻿ mums side was related to one of his relos. lolllbut dw cos all lebs are related somehow.english wow that is cool. btw did u like the chants in my favourites? [..YouTube..] no i am not maronite i am antiochian orthodox. lol about the spelling.ummm about sarbel i think i have like a far far far relation with him. loll. i think my great grandma on my mums side was related to one of his relos. lolllbut dw cos all lebs are related somehow.english wow that is cool. btw﻿ did u like the chants in my favourites? [..YouTube..] no i am not maronite i am antiochian orthodox. lol about the spelling.ummm about sarbel i think i have like a far far far relation with him. loll. i think﻿ my great grandma on my mums side was related to one of his relos. lolllbut dw cos all lebs are related somehow.english wow that is cool. btw did u like the chants in my favourites? [..YouTube..] no i am not maronite i am antiochian﻿ orthodox. lol about the spelling.ummm about sarbel i think i have like a far far far relation with him. loll. i think my great grandma on my mums side was related to one of his relos. lolllbut dw cos all lebs are related somehow.english wow that is cool. btw did u like the chants in my favourites? [..YouTube..] no i am not maronite i am antiochian orthodox. lol about the spelling.ummm about sarbel i think i have like a far far far relation with him. loll. i think my﻿ great grandma on my mums side was related to one of his relos. lolllbut dw cos all lebs are related somehow.english wow that is cool. btw did u like the chants in my favourites? [..YouTube..] no i am not maronite i am antiochian orthodox. lol about the spelling.ummm about sarbel i think i have like a far far far relation with him. loll. i think my great grandma on my mums side was related to one of his relos. lolllbut dw cos all﻿ lebs are related somehow.english wow that is cool. btw did u like the chants in my favourites? [..YouTube..] no i am not maronite i am antiochian orthodox. lol about the spelling.ummm about sarbel i think i have like a far far far relation with him. loll. i think my great grandma on my mums side was related to one of his relos. lolllbut dw cos all lebs are related somehow.english wow that is cool. btw did u like the chants in my﻿ favourites? [..YouTube..] no i am not maronite i am antiochian orthodox. lol about the spelling.ummm about sarbel i think i have like﻿ a far far far relation with him. loll. i think my great grandma on my mums side was related to one of his relos. lolllbut dw cos all lebs are related somehow.english wow that is cool. btw did u like the chants in my favourites? [..YouTube..] no i am not maronite i am antiochian orthodox. lol about the spelling.ummm about sarbel i think i have like a far far far relation with him. loll. i think my great grandma on my mums side was related to one of his relos. lolllbut dw cos all lebs are related somehow.english wow that﻿ is cool. btw did u like the chants in my favourites? [..YouTube..] no i am not maronite i am antiochian orthodox. lol about the spelling.ummm about sarbel i think i have like a far far far relation with him. loll. i think my great grandma on my mums side was related to one﻿ of his relos. lolllbut dw cos all lebs are related somehow.english wow that is cool. btw did u like the chants in my favourites? [..YouTube..] no i am not maronite i am antiochian orthodox. lol about the spelling.ummm about sarbel i think i have like a far far far relation with him. loll. i think my great grandma on my mums side was related to one of﻿ his relos. lolllbut dw cos all lebs are related somehow.english wow that is cool. btw did u like the chants in my favourites? [..YouTube..] no i am not maronite i am antiochian orthodox. lol about the spelling.ummm about sarbel i﻿ think i have like a far far far relation with him. loll. i think my great grandma on my mums side was related to one of his relos. lolllbut dw cos all lebs are related somehow.english wow that is cool. btw did u like the chants in my favourites? [..YouTube..] no i am not maronite i am antiochian orthodox. lol about the spelling.ummm about sarbel i think i have like a far far far relation with﻿ him. loll. i think my great grandma on my mums side was related to one of his relos. lolllbut dw cos all lebs are related somehow.english wow that is cool. btw did u like the chants in my favourites? [..YouTube..] no i am not maronite i am antiochian orthodox. lol about the spelling.ummm about sarbel i think i have like a far far far relation with him. loll. i think my great grandma on my mums side was related to one of his relos. lolllbut dw cos all lebs are related somehow.english wow that is cool. btw did u like﻿ the chants in my favourites? [..YouTube..] no i am not maronite i am antiochian orthodox. lol about the spelling.ummm about sarbel i think i have like a far far far relation with him. loll. i think my great grandma﻿ on my mums side was related to one of his relos. lolllbut dw cos all lebs are related somehow.english wow that is cool. btw did u like the chants in my favourites? [..YouTube..] no i am not maronite i am antiochian orthodox. lol about the spelling.ummm about sarbel i think i have like a far far far relation with him. loll. i think my great grandma on my mums side was related to one of his relos. lolllbut dw cos all lebs are related somehow.english wow that is cool. btw did u like the chants in my favourites? [..YouTube..] no i am not maronite i am antiochian orthodox. lol about the spelling. but dw cos all lebs are related somehow. english wow that is cool. btw did u like the chants in my favourites? Ok it’s cos you spelled flavour the proper way so I knew you weren’t American!lol Aussi cool, i wanna go there.Em I’m English, but half Greek Cypriot. Altho even my mum (greek) was born here so basically British.So are you a maronite? have you heard of the singer Sharbel/sarbel? [..YouTube..] Ok it’s cos you spelled flavour the proper way so I knew you weren’t American!lol﻿ Aussi cool, i wanna go there.Em I’m English, but half Greek Cypriot. Altho even my mum (greek) was born here so basically British.So are you a maronite? have you heard of the singer Sharbel/sarbel? [..YouTube..] Ok it’s cos you spelled flavour the proper way so I knew you weren’t American!lol Aussi cool, i wanna go there.Em I’m English, but half Greek Cypriot. Altho even my mum (greek) was born here so basically British.So are you a maronite? have you heard﻿ of the singer Sharbel/sarbel? [..YouTube..] Ok it’s cos you spelled flavour the proper way so I knew you weren’t American!lol Aussi cool, i wanna﻿ go there.Em I’m English, but half Greek Cypriot. Altho even my mum (greek) was born here so basically British.So are you a maronite? have you heard of the singer Sharbel/sarbel? [..YouTube..] Ok it’s cos you spelled flavour the proper way so I knew you weren’t American!lol Aussi cool, i wanna go there.Em I’m English, but half Greek Cypriot.﻿ Altho even my mum (greek) was born here so basically British.So are you a maronite? have you heard of the singer Sharbel/sarbel? [..YouTube..] Ok it’s cos you spelled flavour the proper way so I knew you weren’t American!lol Aussi cool, i wanna go there.Em I’m English, but half Greek Cypriot. Altho even my mum﻿ (greek) was born here so basically British.So are you a maronite? have you heard of the singer Sharbel/sarbel? [..YouTube..] Ok it’s cos﻿ you spelled flavour the proper way so I knew you weren’t American!lol Aussi cool, i wanna go there.Em I’m English, but half Greek Cypriot. Altho even my mum (greek) was born here so basically British.So are you a maronite? have you heard of the singer Sharbel/sarbel? [..YouTube..] Ok it’s cos you spelled flavour the proper way so I knew you weren’t American!lol Aussi cool, i wanna go there.Em I’m English, but half Greek﻿ Cypriot. Altho even my mum (greek) was born here so basically British.So are you a maronite? have you heard of the singer Sharbel/sarbel? [..YouTube..] Ok it’s cos you spelled﻿ flavour the proper way so I knew you weren’t American!lol Aussi cool, i wanna go there.Em I’m English, but half Greek Cypriot. Altho even my mum (greek) was born here so basically British.So are you a maronite? have you heard of the singer Sharbel/sarbel? [..YouTube..] Ok it’s cos you spelled flavour the proper way so I knew you weren’t American!lol Aussi cool, i wanna go there.Em I’m English, but half Greek Cypriot. Altho even my mum (greek)﻿ was born here so basically British.So are you a maronite? have you heard of the singer Sharbel/sarbel? [..YouTube..] Ok it’s cos you spelled flavour the proper way so I knew you weren’t American!lol Aussi cool, i wanna go there.Em I’m English, but half Greek Cypriot. Altho even﻿ my mum (greek) was born here so basically British.So are you a maronite? have you heard of the singer Sharbel/sarbel? [..YouTube..] Ok it’s cos you spelled flavour the proper way so I knew you weren’t American!lol Aussi cool, i﻿ wanna go there.Em I’m English, but half Greek Cypriot. Altho even my mum (greek) was born here so basically British.So are you a maronite? have you heard of the singer Sharbel/sarbel? [..YouTube..] Ok it’s cos you spelled flavour the proper way so I knew you weren’t American!lol Aussi cool, i wanna go there.Em I’m English, but half﻿ Greek Cypriot. Altho even my mum (greek) was born here so basically British.So are you a maronite? have you heard of the singer Sharbel/sarbel? [..YouTube..] Ok it’s cos you spelled flavour the proper way so I knew you weren’t American!lol Aussi cool, i wanna go there.Em I’m﻿ English, but half Greek Cypriot. Altho even my mum (greek) was born here so basically British.So are you a maronite? have you heard of the singer Sharbel/sarbel? [..YouTube..] Ok it’s cos you spelled flavour the proper way so I knew you weren’t American!lol Aussi cool, i wanna go there.Em I’m English, but﻿ half Greek Cypriot. Altho even my mum (greek) was born here so basically British.So are you a maronite? have you heard of the singer Sharbel/sarbel? [..YouTube..] Ok it’s cos you spelled flavour﻿ the proper way so I knew you weren’t American!lol Aussi cool, i wanna go there.Em I’m English, but half Greek Cypriot. Altho even my mum (greek) was born here so basically British.So are you a maronite? have you heard of the singer Sharbel/sarbel? [..YouTube..] Ok it’s cos you spelled flavour the proper way so﻿ I knew you weren’t American!lol Aussi cool, i wanna go there.Em I’m English, but half Greek Cypriot. Altho even my mum (greek) was born here so basically British.So are you a maronite? have you heard of the singer Sharbel/sarbel? [..YouTube..] Ok it’s cos you spelled flavour the proper﻿ way so I knew you weren’t American!lol Aussi cool, i wanna go there.Em I’m English, but half Greek Cypriot. Altho even my mum (greek) was born here so basically British.So are you a maronite? have you heard of the singer Sharbel/sarbel? [..YouTube..] Ok it’s cos you spelled flavour the proper way so I knew you weren’t﻿ American!lol Aussi cool, i wanna go there.Em I’m English, but half Greek Cypriot. Altho even my mum (greek) was born here so basically British.So are you a maronite? have you heard of the singer Sharbel/sarbel? [..YouTube..] Ok it’s cos you spelled flavour the proper way so I knew you weren’t American!lol Aussi cool, i wanna go there.Em I’m English, but half Greek Cypriot. Altho even my﻿ mum (greek) was born here so basically British.So are you a maronite? have you heard of the singer Sharbel/sarbel? [..YouTube..] Ok it’s cos you spelled flavour the proper way so I knew you weren’t American!lol Aussi cool, i wanna go there.Em I’m English,﻿ but half Greek Cypriot. Altho even my mum (greek) was born here so basically British.So are you a maronite? have you heard of the singer Sharbel/sarbel? [..YouTube..] Ok it’s cos you spelled flavour the proper way so I knew you weren’t American!lol Aussi cool, i wanna go there.Em I’m English, but half Greek Cypriot. Altho even my mum (greek) was born here so basically British.So are you a maronite?﻿ have you heard of the singer Sharbel/sarbel? [..YouTube..] Ok it’s cos you spelled flavour the proper way so I knew you weren’t American!lol Aussi cool, i wanna go there.Em I’m English, but half Greek Cypriot. Altho even my mum (greek) was born here so basically British.So are you a maronite? have you heard of﻿ the singer Sharbel/sarbel? [..YouTube..] Ok it’s cos you spelled flavour the proper way so I knew you weren’t American!lol Aussi cool, i wanna go there.Em﻿ I’m English, but half Greek Cypriot. Altho even my mum (greek) was born here so basically British.So are you a maronite? have you heard of the singer Sharbel/sarbel? [..YouTube..] Ok it’s cos you spelled flavour the proper way so I knew you﻿ weren’t American!lol Aussi cool, i wanna go there.Em I’m English, but half Greek Cypriot. Altho even my mum (greek) was born here so basically British.So are you a maronite? have you heard of the singer Sharbel/sarbel? [..YouTube..] Ok it’s cos you spelled flavour the proper way so I knew you weren’t American!lol Aussi cool, i wanna go there.Em I’m English, but half Greek Cypriot. Altho even my mum (greek) was born here so basically British.So are you a maronite? have you heard of the﻿ singer Sharbel/sarbel? [..YouTube..] Ok it’s cos you spelled flavour the proper way so I﻿ knew you weren’t American!lol Aussi cool, i wanna go there.Em I’m English, but half Greek Cypriot. Altho even my mum (greek) was born here so basically British.So are you a maronite? have you heard of the singer Sharbel/sarbel? [..YouTube..] Ok it’s﻿ cos you spelled flavour the proper way so I knew you weren’t American!lol Aussi cool, i wanna go there.Em I’m English, but half Greek Cypriot. Altho even my mum (greek) was born here so basically British.So are you a maronite? have you heard of the singer Sharbel/sarbel? [..YouTube..] Ok it’s cos you﻿ spelled flavour the proper way so I knew you weren’t American!lol Aussi cool, i wanna go there.Em I’m English, but half Greek Cypriot. Altho even my mum (greek) was born here so basically British.So are you a maronite? have you heard of the singer Sharbel/sarbel? [..YouTube..] Ok it’s cos you spelled flavour the proper way﻿ so I knew you weren’t American!lol Aussi cool, i wanna go there.Em I’m English, but half Greek Cypriot. Altho even my mum (greek) was born here so basically British.So are you a maronite? have you heard of the singer Sharbel/sarbel? [..YouTube..] Ok it’s cos you spelled flavour the proper way so I knew you weren’t American!lol Aussi cool, i wanna go there.Em I’m English, but half Greek Cypriot. Altho even my mum (greek) was born here so basically British.So are you a maronite? have you heard of the singer﻿ Sharbel/sarbel? [..YouTube..] Ok it’s cos you spelled flavour the proper way so I knew you weren’t American!lol Aussi cool, i wanna go there.Em I’m English, but half Greek Cypriot. Altho even my mum (greek) was born here so basically British.So﻿ are you a maronite? have you heard of the singer Sharbel/sarbel? [..YouTube..] Ok it’s cos you spelled flavour the proper way so I knew you weren’t American!lol Aussi cool, i wanna go there.Em I’m English, but half Greek Cypriot. Altho even my mum (greek) was born here so basically﻿ British.So are you a maronite? have you heard of the singer Sharbel/sarbel? [..YouTube..] Ok﻿ it’s cos you spelled flavour the proper way so I knew you weren’t American!lol Aussi cool, i wanna go there.Em I’m English, but half Greek Cypriot. Altho even my mum (greek) was born here so basically British.So are you a maronite? have you heard of the singer Sharbel/sarbel? [..YouTube..] Ok it’s cos you spelled flavour the proper way so I knew﻿ you weren’t American!lol Aussi cool, i wanna go there.Em I’m English, but half Greek Cypriot. Altho even my mum (greek) was born here so basically British.So are you a maronite? have you heard of the singer Sharbel/sarbel? [..YouTube..] Ok it’s cos you spelled flavour the proper way so I knew you weren’t American!lol Aussi cool, i wanna go there.Em I’m English, but half Greek Cypriot. Altho even my mum (greek) was﻿ born here so basically British.So are you a maronite? have you heard of the singer Sharbel/sarbel? [..YouTube..] Ok it’s cos you spelled flavour the proper way so I knew you weren’t American!lol Aussi cool, i wanna go there.Em I’m English, but half Greek Cypriot. Altho even my mum (greek) was born here﻿ so basically British.So are you a maronite? have you heard of the singer Sharbel/sarbel? [..YouTube..] Ok it’s cos you spelled flavour the proper way so I knew you weren’t American!lol Aussi﻿ cool, i wanna go there.Em I’m English, but half Greek Cypriot. Altho even my mum (greek) was born here so basically British.So are you a maronite? have you heard of the singer Sharbel/sarbel? [..YouTube..] Ok it’s cos you spelled flavour the﻿ proper way so I knew you weren’t American!lol Aussi cool, i wanna go there.Em I’m English, but half Greek Cypriot. Altho even my mum (greek) was born here so basically British.So are you a maronite? have you heard of the singer Sharbel/sarbel? [..YouTube..] Ok it’s cos you spelled flavour the proper way so I knew you weren’t American!lol Aussi cool, i wanna go there.Em I’m English, but half Greek Cypriot. Altho even my mum (greek) was born here so basically British.So are you a maronite? have you﻿ heard of the singer Sharbel/sarbel? [..YouTube..] Ok it’s cos you spelled flavour the proper way so I knew you weren’t American!lol Aussi cool, i wanna go there.Em I’m English, but half Greek Cypriot. Altho even my mum (greek) was born here so﻿ basically British.So are you a maronite? have you heard of the singer Sharbel/sarbel? [..YouTube..] Ok it’s cos you spelled flavour the proper way so I knew you weren’t American!lol Aussi cool, i wanna go there.Em I’m English, but half Greek Cypriot. Altho﻿ even my mum (greek) was born here so basically British.So are you a maronite? have you heard of the singer Sharbel/sarbel? [..YouTube..] Ok it’s cos you spelled flavour the proper way so I knew you weren’t American!lol Aussi cool, i wanna go there.Em I’m English, but half Greek Cypriot. Altho even my mum (greek) was born﻿ here so basically British.So are you a maronite? have you heard of the singer Sharbel/sarbel? [..YouTube..] Ok it’s cos you spelled flavour the proper way so I knew you weren’t American!lol Aussi cool, i wanna go there.Em I’m English, but half Greek Cypriot. Altho even my mum (greek) was born here so basically British.So are you a﻿ maronite? have you heard of the singer Sharbel/sarbel? [..YouTube..] Ok it’s cos you spelled flavour the proper way so I knew you weren’t American!lol Aussi cool, i wanna go there.Em I’m English, but half Greek Cypriot. Altho even my mum (greek) was born here so basically British.So are you﻿ a maronite? have you heard of the singer Sharbel/sarbel? [..YouTube..] Ok it’s cos you spelled flavour the proper way so I knew you weren’t American!lol Aussi cool, i wanna go﻿ there.Em I’m English, but half Greek Cypriot. Altho even my mum (greek) was born here so basically British.So are you a maronite? have you heard of the singer Sharbel/sarbel? [..YouTube..] Ok it’s cos you spelled flavour the proper way so I knew you weren’t American!lol Aussi cool, i wanna go there.Em I’m English, but half Greek Cypriot. Altho even my mum (greek) was born here so basically British.So are you a maronite? have﻿ you heard of the singer Sharbel/sarbel? [..YouTube..] Ok it’s cos you spelled flavour the proper way so I knew you weren’t American!lol Aussi cool,﻿ i wanna go there.Em I’m English, but half Greek Cypriot. Altho even my mum (greek) was born here so basically British.So are you a maronite? have you heard of the singer Sharbel/sarbel? [..YouTube..] Ok it’s cos you spelled flavour the proper way so I knew you weren’t American!lol Aussi cool, i wanna go there.Em I’m English, but half Greek Cypriot. Altho even my mum (greek) was born here so basically British.So are﻿ you a maronite? have you heard of the singer Sharbel/sarbel? [..YouTube..] Ok it’s cos you spelled flavour the proper way so I knew you weren’t American!lol Aussi cool, i wanna go there.Em I’m English, but half Greek Cypriot. Altho even my mum (greek) was born here so basically British.So are you a maronite? have you heard of the singer Sharbel/sarbel? [..YouTube..] Ok it’s cos you spelled flavour the proper way so I knew you weren’t American!lol Aussi cool, i wanna go there. Em I’m English, but half Greek Cypriot. Altho even my mum (greek) was born here so basically British. So are you a maronite? have you heard of the singer Sharbel/sarbel? no brother. i am lebanese australian :Du? [..YouTube..] no﻿ brother. i am lebanese australian :Du? [..YouTube..] no brother.﻿ i am lebanese australian :Du? [..YouTube..] no brother. i﻿ am lebanese australian :Du? [..YouTube..] no brother. i am lebanese﻿ australian :Du? [..YouTube..] no brother. i am﻿ lebanese australian :Du? [..YouTube..] no brother. i am lebanese australian﻿ :Du? [..YouTube..] no brother. i am lebanese australian :Du? Cheers :)BTW are you in the UK? [..YouTube..] Cheers :)BTW are you in﻿ the UK? [..YouTube..] Cheers :)BTW are you﻿ in the UK? [..YouTube..] Cheers :)BTW﻿ are you in the UK? [..YouTube..] Cheers﻿ :)BTW are you in the UK? [..YouTube..] Cheers :)BTW are you in the﻿ UK? [..YouTube..] Cheers :)BTW are﻿ you in the UK? [..YouTube..] Cheers :)BTW are you in the UK? BTW are you in the UK? dear friend, it is the fourth one in the list of favourites. [..YouTube..] dear friend, it﻿ is the fourth one in the list of favourites. [..YouTube..] dear friend, it is﻿ the fourth one in the list of favourites. [..YouTube..] dear friend, it is the fourth one in the﻿ list of favourites. [..YouTube..] dear friend, it is the fourth one in the list﻿ of favourites. [..YouTube..] dear friend,﻿ it is the fourth one in the list of favourites. [..YouTube..] dear﻿ friend, it is the fourth one in the list of favourites. [..YouTube..] dear friend, it is the fourth one in the list of﻿ favourites. [..YouTube..] dear friend, it is the fourth one﻿ in the list of favourites. [..YouTube..] dear friend, it is the﻿ fourth one in the list of favourites. [..YouTube..] dear friend, it is the fourth﻿ one in the list of favourites. [..YouTube..] dear friend, it is the fourth one in﻿ the list of favourites. [..YouTube..] dear friend, it is the fourth one in the list of favourites. Yes God bless you too.I couldn’t find the ode 9 on your favourites tho. [..YouTube..] Yes God bless you too.I couldn’t find the ode 9 on﻿ your favourites tho. [..YouTube..] Yes God bless you too.I couldn’t find the ode 9 on your﻿ favourites tho. [..YouTube..] Yes God bless you﻿ too.I couldn’t find the ode 9 on your favourites tho. [..YouTube..] Yes God bless you too.I couldn’t find﻿ the ode 9 on your favourites tho. [..YouTube..] Yes﻿ God bless you too.I couldn’t find the ode 9 on your favourites tho. [..YouTube..] Yes God bless you too.I couldn’t find the﻿ ode 9 on your favourites tho. [..YouTube..] Yes God bless you too.I couldn’t find the ode 9﻿ on your favourites tho. [..YouTube..] Yes God bless you too.I﻿ couldn’t find the ode 9 on your favourites tho. [..YouTube..] Yes God bless﻿ you too.I couldn’t find the ode 9 on your favourites tho. [..YouTube..] Yes God bless you too.I couldn’t find the ode﻿ 9 on your favourites tho. [..YouTube..] Yes God bless you too.I couldn’t﻿ find the ode 9 on your favourites tho. [..YouTube..] Yes God﻿ bless you too.I couldn’t find the ode 9 on your favourites tho. [..YouTube..] Yes God bless you too.I couldn’t find the ode 9 on your favourites﻿ tho. [..YouTube..] Yes God bless you too.I couldn’t find the ode 9 on your favourites tho. [..YouTube..] Yes God bless you too. I couldn’t find the ode 9 on your favourites tho. lol. are u talking about coptics? [..YouTube..] lol. are u talking about﻿ coptics? [..YouTube..] lol. are﻿ u talking about coptics? [..YouTube..] lol. are u﻿ talking about coptics? [..YouTube..] lol.﻿ are u talking about coptics? [..YouTube..] lol. are u talking﻿ about coptics? [..YouTube..] lol. are u talking about coptics? Yeah I will do that. I do listen to byzantine chant quite often. I havn’t been to church for ages so havn’t heard it there for ages. [..YouTube..] Yeah I will do that. I do listen to byzantine chant quite often. I havn’t been to church for ages so havn’t heard it there﻿ for ages. [..YouTube..] Yeah I will do﻿ that. I do listen to byzantine chant quite often. I havn’t been to church for ages so havn’t heard it there for ages. [..YouTube..] Yeah I will do that. I do listen to byzantine chant quite often. I havn’t been to church for ages so havn’t heard it﻿ there for ages. [..YouTube..] Yeah I will do that.﻿ I do listen to byzantine chant quite often. I havn’t been to church for ages so havn’t heard it there for ages. [..YouTube..] Yeah I will do that. I do listen to byzantine chant quite often. I havn’t been to church for ages so havn’t heard﻿ it there for ages. [..YouTube..] Yeah I will do that. I do listen to byzantine chant quite﻿ often. I havn’t been to church for ages so havn’t heard it there for ages. [..YouTube..] Yeah I will do that. I do listen to byzantine chant quite often. I havn’t been﻿ to church for ages so havn’t heard it there for ages. [..YouTube..] Yeah I will do that. I do listen to byzantine﻿ chant quite often. I havn’t been to church for ages so havn’t heard it there for ages. [..YouTube..] Yeah I will do that. I do listen to byzantine chant quite often. I havn’t been to church for ages﻿ so havn’t heard it there for ages. [..YouTube..] Yeah I will do that. I do listen﻿ to byzantine chant quite often. I havn’t been to church for ages so havn’t heard it there for ages. [..YouTube..] Yeah I will do that. I do﻿ listen to byzantine chant quite often. I havn’t been to church for ages so havn’t heard it there for ages. [..YouTube..] Yeah I will do that. I﻿ do listen to byzantine chant quite often. I havn’t been to church for ages so havn’t heard it there for ages. [..YouTube..] Yeah I will do that. I do listen to byzantine chant quite often. I havn’t﻿ been to church for ages so havn’t heard it there for ages. [..YouTube..] Yeah I﻿ will do that. I do listen to byzantine chant quite often. I havn’t been to church for ages so havn’t heard it there for ages. [..YouTube..] Yeah I will do that. I do listen to byzantine chant quite often. I havn’t been to﻿ church for ages so havn’t heard it there for ages. [..YouTube..] Yeah I will do that. I do listen to byzantine chant quite often. I﻿ havn’t been to church for ages so havn’t heard it there for ages. [..YouTube..] Yeah I will do that. I do listen to byzantine chant quite often. I havn’t been to church for﻿ ages so havn’t heard it there for ages. [..YouTube..] Yeah I will do that. I do listen to byzantine chant quite often. I havn’t been to church for ages so﻿ havn’t heard it there for ages. [..YouTube..] Yeah﻿ I will do that. I do listen to byzantine chant quite often. I havn’t been to church for ages so havn’t heard it there for ages. [..YouTube..] Yeah I will﻿ do that. I do listen to byzantine chant quite often. I havn’t been to church for ages so havn’t heard it there for ages. [..YouTube..] Yeah I will do that. I do listen to byzantine chant quite often. I havn’t been to church for ages so havn’t﻿ heard it there for ages. [..YouTube..] Yeah I will do that. I do listen to byzantine chant quite often. I havn’t been to church﻿ for ages so havn’t heard it there for ages. [..YouTube..] Yeah I will do that. I do listen to byzantine chant quite often. I havn’t been to church for ages so havn’t heard it there for﻿ ages. [..YouTube..] Yeah I will do that. I do listen to byzantine chant quite often.﻿ I havn’t been to church for ages so havn’t heard it there for ages. [..YouTube..] Yeah I will do that. I do listen to byzantine chant﻿ quite often. I havn’t been to church for ages so havn’t heard it there for ages. [..YouTube..] Yeah I will do that. I do listen to﻿ byzantine chant quite often. I havn’t been to church for ages so havn’t heard it there for ages. [..YouTube..] Yeah I will do that. I do listen to byzantine chant quite often. I havn’t been to church for ages so havn’t heard it there for ages. Ok thankyou…I guess its hard to explain in regards to the chant. Does it mean that it’s too fussed over? Not “plain” enough? [..YouTube..] Ok thankyou…I guess its﻿ hard to explain in regards to the chant. Does it mean that it’s too fussed over? Not “plain” enough? [..YouTube..] Ok thankyou…I guess its hard to explain in regards to the chant. Does it mean that it’s too fussed over? Not﻿ “plain” enough? [..YouTube..] Ok thankyou…I guess its hard to explain in regards﻿ to the chant. Does it mean that it’s too fussed over? Not “plain” enough? [..YouTube..] Ok thankyou…I guess its hard to explain﻿ in regards to the chant. Does it mean that it’s too fussed over? Not “plain” enough? [..YouTube..] Ok thankyou…I guess its hard to explain in﻿ regards to the chant. Does it mean that it’s too fussed over? Not “plain” enough? [..YouTube..] Ok thankyou…I guess its hard to explain in regards to the chant. Does it mean that it’s﻿ too fussed over? Not “plain” enough? [..YouTube..] Ok thankyou…I guess its hard to explain in regards to the chant. Does﻿ it mean that it’s too fussed over? Not “plain” enough? [..YouTube..] Ok thankyou…I guess its hard to explain in regards to the chant. Does it mean that it’s too fussed over?﻿ Not “plain” enough? [..YouTube..] Ok thankyou…I guess its hard to﻿ explain in regards to the chant. Does it mean that it’s too fussed over? Not “plain” enough? [..YouTube..] Ok thankyou…I guess its hard to explain in regards to the chant. Does it﻿ mean that it’s too fussed over? Not “plain” enough? [..YouTube..] Ok thankyou…I guess its hard to explain in regards to the chant.﻿ Does it mean that it’s too fussed over? Not “plain” enough? [..YouTube..] Ok thankyou…I guess its hard to explain in regards to the chant. Does it mean that it’s too﻿ fussed over? Not “plain” enough? [..YouTube..] Ok﻿ thankyou…I guess its hard to explain in regards to the chant. Does it mean that it’s too fussed over? Not “plain” enough? [..YouTube..] Ok thankyou…I guess its hard﻿ to explain in regards to the chant. Does it mean that it’s too fussed over? Not “plain” enough? [..YouTube..] Ok thankyou…I guess its hard to explain in regards to the chant. Does it mean that﻿ it’s too fussed over? Not “plain” enough? [..YouTube..] Ok thankyou…I guess﻿ its hard to explain in regards to the chant. Does it mean that it’s too fussed over? Not “plain” enough? [..YouTube..] Ok thankyou…I guess its hard to explain in regards to the chant. Does it mean that it’s too fussed over? Not “plain”﻿ enough? [..YouTube..] Ok thankyou…I guess its hard to explain in regards to the chant. Does it mean﻿ that it’s too fussed over? Not “plain” enough? [..YouTube..] Ok thankyou…I guess its hard to explain in regards to﻿ the chant. Does it mean that it’s too fussed over? Not “plain” enough? [..YouTube..] Ok thankyou…I guess its hard to explain in regards to the﻿ chant. Does it mean that it’s too fussed over? Not “plain” enough? [..YouTube..] Ok thankyou…I﻿ guess its hard to explain in regards to the chant. Does it mean that it’s too fussed over? Not “plain” enough? [..YouTube..] Ok thankyou…I guess its hard to explain in regards to the chant. Does it mean that it’s too fussed﻿ over? Not “plain” enough? [..YouTube..] Ok thankyou…I guess its hard to explain in regards to the chant. Does it mean that it’s too fussed over? Not “plain” enough? Maybe too much ‘salitsa’… But thank God, that our musical tradition is passed on to another generation. (It is better than some older chanters who are too ‘nasal’ in their chanting. [..YouTube..] Maybe too much ‘salitsa’… But thank God, that our musical tradition is passed on to another generation. (It is better than some older chanters who are too ‘nasal’ in﻿ their chanting. [..YouTube..] Maybe too much ‘salitsa’… But thank God, that our musical﻿ tradition is passed on to another generation. (It is better than some older chanters who are too ‘nasal’ in their chanting. [..YouTube..] Maybe too much ‘salitsa’…﻿ But thank God, that our musical tradition is passed on to another generation. (It is better than some older chanters who are too ‘nasal’ in their chanting. [..YouTube..] Maybe too much ‘salitsa’… But thank God, that our musical tradition is passed on to another generation. (It is better than some older chanters who are too ‘nasal’ in their﻿ chanting. [..YouTube..] Maybe too much ‘salitsa’… But thank God, that our musical tradition is passed on to another generation. (It is better than﻿ some older chanters who are too ‘nasal’ in their chanting. [..YouTube..] Maybe﻿ too much ‘salitsa’… But thank God, that our musical tradition is passed on to another generation. (It is better than some older chanters who are too ‘nasal’ in their chanting. [..YouTube..] Maybe too much ‘salitsa’… But thank God, that our musical tradition is passed on to another generation. (It is﻿ better than some older chanters who are too ‘nasal’ in their chanting. [..YouTube..] Maybe too much ‘salitsa’… But thank God, that our musical tradition is passed on to another generation. (It is better than some older chanters﻿ who are too ‘nasal’ in their chanting. [..YouTube..] Maybe too much﻿ ‘salitsa’… But thank God, that our musical tradition is passed on to another generation. (It is better than some older chanters who are too ‘nasal’ in their chanting. [..YouTube..] Maybe too much ‘salitsa’… But thank God, that our musical tradition is passed on to another generation. (It is better﻿ than some older chanters who are too ‘nasal’ in their chanting. [..YouTube..] Maybe too much ‘salitsa’… But thank God,﻿ that our musical tradition is passed on to another generation. (It is better than some older chanters who are too ‘nasal’ in their chanting. [..YouTube..] Maybe too much ‘salitsa’… But thank God, that our musical tradition is passed﻿ on to another generation. (It is better than some older chanters who are too ‘nasal’ in their chanting. [..YouTube..] Maybe too much ‘salitsa’… But thank God, that our musical tradition is passed on﻿ to another generation. (It is better than some older chanters who are too ‘nasal’ in their chanting. [..YouTube..] Maybe too much ‘salitsa’… But thank God, that our musical tradition is passed on to another generation. (It is better than some older﻿ chanters who are too ‘nasal’ in their chanting. [..YouTube..] Maybe too much ‘salitsa’… But thank God, that our musical tradition is﻿ passed on to another generation. (It is better than some older chanters who are too ‘nasal’ in their chanting. [..YouTube..] Maybe too much ‘salitsa’… But thank God, that our musical tradition is passed on to another generation. (It﻿ is better than some older chanters who are too ‘nasal’ in their chanting. [..YouTube..] Maybe too much ‘salitsa’… But thank God, that our musical tradition is passed on to another generation.﻿ (It is better than some older chanters who are too ‘nasal’ in their chanting. [..YouTube..] Maybe too much ‘salitsa’… But﻿ thank God, that our musical tradition is passed on to another generation. (It is better than some older chanters who are too ‘nasal’ in their chanting. [..YouTube..] Maybe too much ‘salitsa’… But thank God, that our musical tradition is passed on to another﻿ generation. (It is better than some older chanters who are too ‘nasal’ in their chanting. [..YouTube..] Maybe too﻿ much ‘salitsa’… But thank God, that our musical tradition is passed on to another generation. (It is better than some older chanters who are too ‘nasal’ in their chanting. [..YouTube..] Maybe too much ‘salitsa’… But thank﻿ God, that our musical tradition is passed on to another generation. (It is better than some older chanters who are too ‘nasal’ in their chanting. [..YouTube..] Maybe too much ‘salitsa’… But thank God, that our﻿ musical tradition is passed on to another generation. (It is better than some older chanters who are too ‘nasal’ in their chanting. [..YouTube..] Maybe too much ‘salitsa’… But thank God, that our musical tradition is passed on to another generation. (It is better than some older chanters who are﻿ too ‘nasal’ in their chanting. [..YouTube..] Maybe too much ‘salitsa’… But thank God, that our musical tradition﻿ is passed on to another generation. (It is better than some older chanters who are too ‘nasal’ in their chanting. [..YouTube..] Maybe too much ‘salitsa’… But thank God, that our musical tradition is passed on to another generation. (It is better than some﻿ older chanters who are too ‘nasal’ in their chanting. [..YouTube..] Maybe too much ‘salitsa’… But thank God, that our musical tradition is passed on to another generation. (It is better than some older chanters who are too ‘nasal’﻿ in their chanting. [..YouTube..] Maybe too much ‘salitsa’… But thank God, that our musical tradition is passed on to another generation. (It is better than some older chanters who﻿ are too ‘nasal’ in their chanting. [..YouTube..] Maybe too much ‘salitsa’… But thank God, that our musical tradition is passed on to﻿ another generation. (It is better than some older chanters who are too ‘nasal’ in their chanting. [..YouTube..] Maybe too much ‘salitsa’… But thank God, that﻿ our musical tradition is passed on to another generation. (It is better than some older chanters who are too ‘nasal’ in their chanting. [..YouTube..] Maybe too much ‘salitsa’… But thank God, that our musical tradition is passed on to another generation. (It is better than some older chanters who are too﻿ ‘nasal’ in their chanting. [..YouTube..] Maybe too much ‘salitsa’… But thank God, that our musical tradition is passed on to another generation. (It is better than some older chanters who are too ‘nasal’ in their chanting. [..YouTube..] Just great my brother! [..YouTube..] Μεγάλυνον ψυχή μου, τὴν τιμιωτέραν, καὶ ἐνδοξοτέραν τῶν ἄνω στρατευμάτων.